India has a huge railway network. The length and spread of railway networks is amazingly vast. India ranks first in the length of railway network in Asia and second largest in the world. Development of High Speed rail Networks is catching up a lot of speed in Europe. USA government is taking initiatives in order to develop HSR stations and enhance their public transport system. United States of America is now realizing the importance of the nature of railroads and the power and speed of trains. It was seen that the number of road accidents had considerably increased. It was found that the increase in the number of road accidents was directly proportional to the decreased use of railways. Indian Railway Ministry has ambitious plans for the development of railways for the year 2020. Being able to design Railway Station keeping in mind today’s needs is very important. 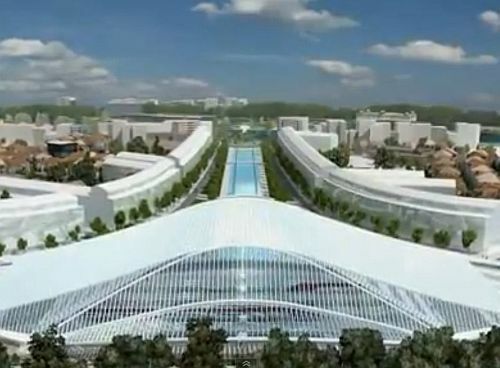 This article is dedicated to the basics of design of High Speed Rail Station. This will give the readers an insight on the design of HSR/Metro Stations. Let us first understand the importance and function of a Station. Stations are places where passengers check in and check out of the train. Station is the first point of contact between the passengers and the railway. It is to be understood that stations should be well designed, comfortable, aesthetically appealing, functionally efficient (efficient layout and planning of station will ensure efficient circulation). My entire purpose for writing an article on the Design of HSR Stations is to help you understand all the design considerations that are to be importantly incorporated. We would be discussing the design considerations for the important station areas so that designing could get handy. In this article we will discuss the design considerations for “Crossing Safety of passengers” and “Platform Design”. The crossing safety of passengers is generally ignored. It is assumed that the passengers will take care of their own safety when walking on or near a railway. This outlook needs to be changed. Architectural designers must make it a point to segregate the railway and the passenger flow. Railways have to be fenced and the passengers have to be kept away from the tracks for safety purpose. The level of the platform should be raised enough so that passengers would be able to get into the train without any hassle and difficulty. The two platforms have to be connected by means of an over bridge. This helps in maintain the safety and security of the passengers. The height of the Platform should be high enough to match the level of the train floor. This has been implemented in the design of platforms in the United Kingdom. This has now become a global standard that has to be followed by the designers for station design. Width of the platform is an important feature of the station design. Accommodation of the largest number of passengers on the platform is an important aspect to be considered while designing the station. The width of the platform should be good enough for smooth flow of passengers on the station but it should be remembered that the area used for the platform should not be so large that it would result into wastage of space. Free visual areas are a necessity so that passengers are able to read signs and the railway staff can ensure safety while dispatching trains. 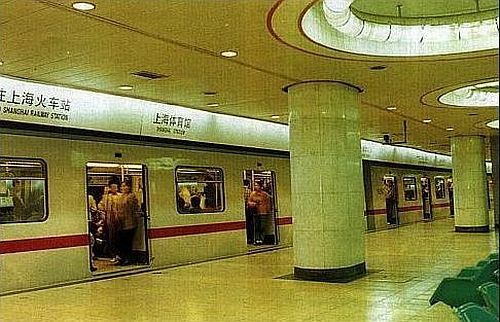 Station at Shanghai | Example of a column forming a visual barrier between the train and passengers. Columns in the midway of a platform are to be avoided as much as possible since they are responsible for the reduced circulating areas during busy hours. It should be remembered that while designing the platforms, the edges of the platforms have to be aligned straight in order to have clear sight lines. This entry was posted by Benzu JK on February 22, 2012, 12:29 am and is filed under Architecture, Design Guide. You can follow any responses to this entry through RSS 2.0. Very valuable content. Your efforts are truly commendable. Keep up your good work!